Yowser, summer left town with all the urgency of Kevin Love. Indeed, it's not a pretty picture for summer lovers. The abrupt change prognosticated by local forecasters has arrived and it looks like the cool weather is here for a while (dare we say for about eight months?). Today redefines the meaning of foul with a slow, rainy AM commute. A cold north wind kicks in behind the storm, gusting to 30 mph as temperatures sink thru the 50s. A second shot of moisture arrives Friday; the atmosphere aloft ALMOST chilly enough for a rain-snow mix Friday night. 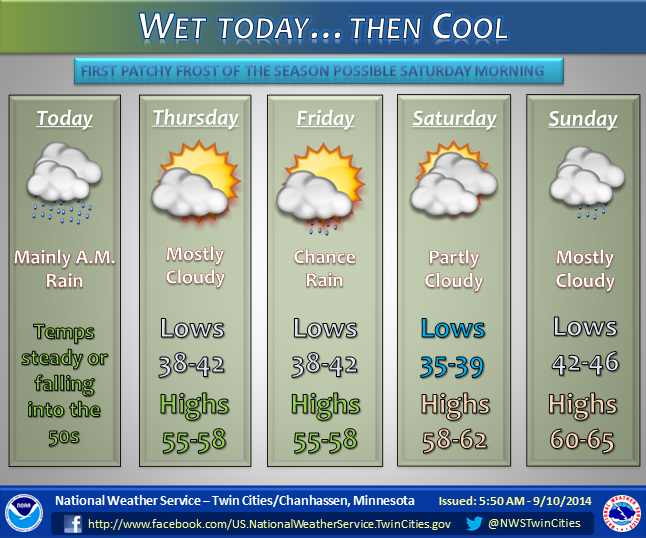 Frost outside the metro early Saturday gives way to 60s and 70s next week. Still, it could be worse. 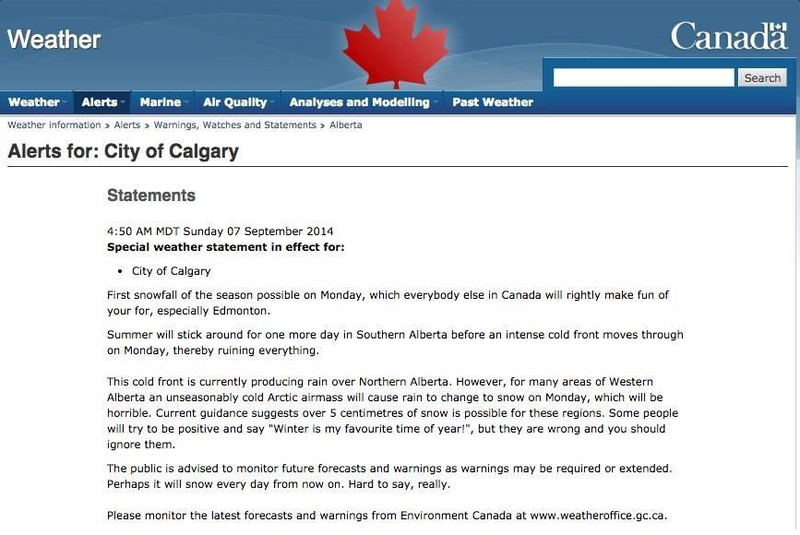 Here's how forecasters from Calgary characterized the incoming weather change -- gotta love their sense of humor!